AIIMS Application Form 2019: AIIMS or ALL India Institute of Medical Science is a public university. It offers various UG PG courses. AIIMS Basic Registration is already started now and Final Application Form will be available soon. AIIMS Application Form will be available online on the official website. The website also provides the feature for checking Application form status online. Candidates can also do the correction if required in the application form. 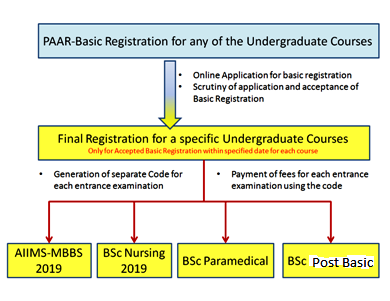 We are providing here all the details of Application Form, Eligibility and AIIMS 2019 Registration Dates. To appear in the AIIMS Examination candidates must fulfill all the AIIMS MBBS Eligibility Criteria. Here we are providing some of the eligibility criteria of AIIMS MBBS. 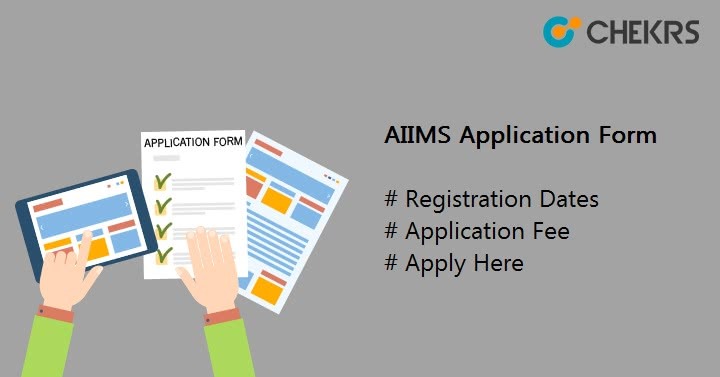 Indian citizens, overseas citizen, and foreign candidates are eligible for the AIIMS 2019 Application Form. All the Candidates must have a minimum 60% of aggregate marks in Physics, Chemistry, Biology and English subjects HSC or 12th. Class 12 appearing candidates can also apply for AIIMS MBBS 2019. There are also an age criteria i.e. Applicant’s minimum age should be 17 years as on the 31.12.2019. Read all the instructions and click on ‘Proceed’ button. On the Next page, you will see the parts of the registration. Understand it carefully and click on proceed. After that, the registration page will be displayed on the screen. Fill id details and Category certificate details. Also Fill Mobile Number and Email id and one alternative number. After it Fill correct address and verify all the details via Reading the declaration and mark it correct and then click on ‘Generate Registration ID & Password’ button. Candidate ID will be displayed on the screen. And Login details will be sent on email (Check Spam Folder once) and mobile number. Now, login with the generated ID and password. Now candidates have to upload the scanned images of photo, signature and Left thumb impression (Check all the specification above. Now After the closing of basic registration. Candidates have to wait for acceptance and verification. After acceptance and verification Candidates will be allowed for Final Registration. Fill the Registration Unique Code, Registration ID,and Password. Now check the Captcha and Enter Captcha at the prescribed field. After Successful Login, Choose the language from Hindi and English. If You have Appered to AIIMS before. Select Year. Now Fill the details of 12th like Roll number, board, State. Now Enter the total of Obtained Marks of 12th English, Chemistry, Physics and Chemistry as per the marksheet. After it Fill the Total Marks. Now click on proceed to next step or Payment Page. Pay the AIIMS Application Fee 2019 through online mode like SBI or Credit Card/ Debit Card/ Net Banking. Now Select the preferred exam State and City. Review the duly filled AIIMS 2019 Application Form and take a print out of it. For Correction, you have to log in to the site and then you have to access the application form. After Filling the application form, Start your preparation with the latest and updated syllabus of AIIMS 2019. Candidates have to prepare well for the exam to get admission into AIIMS Colleges.